PRL’s PL-100 top latching panic hardware has been designed with strength and durability in mind using only the finest quality materials. 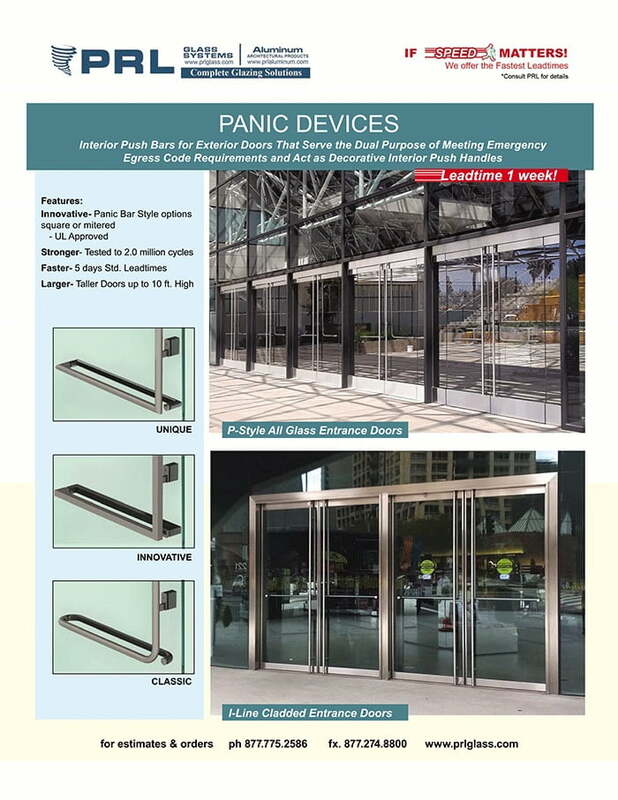 All of our PL-100 panic hardware go through various quality assurance processes in order to meet the highest industry standard tests for panic hardware, UL305 and ANSI/BHMA A156.3-2008. Our panic hardware was tested to 2.0 million cycles, the most ever on a tubular panic device. 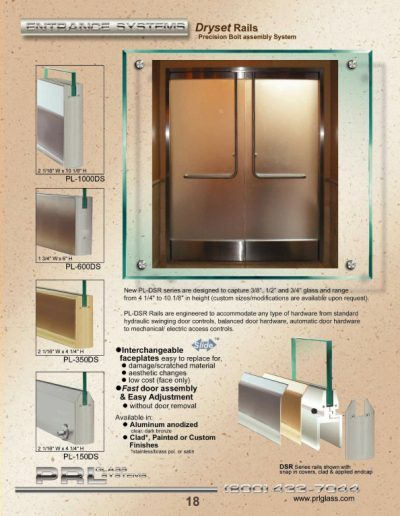 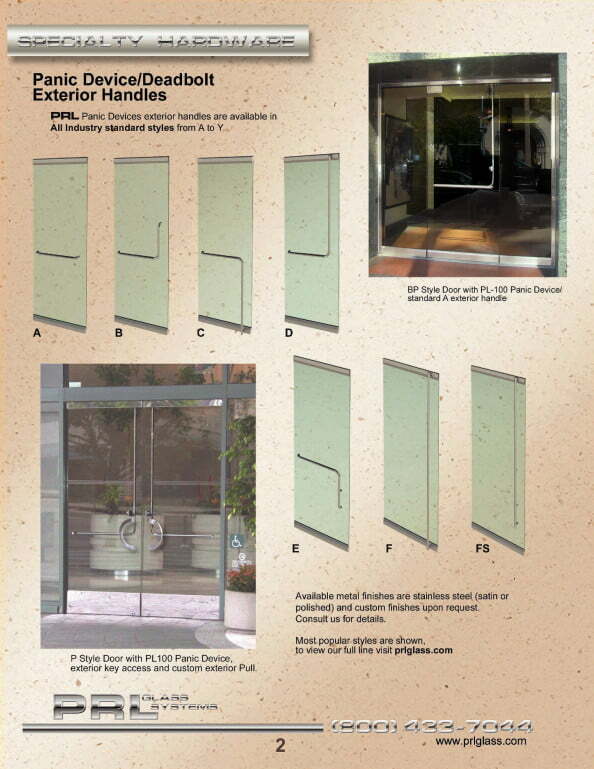 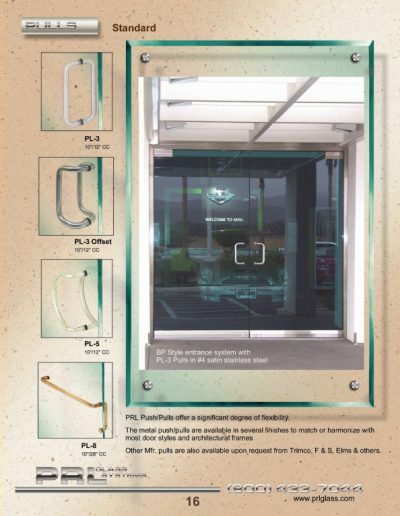 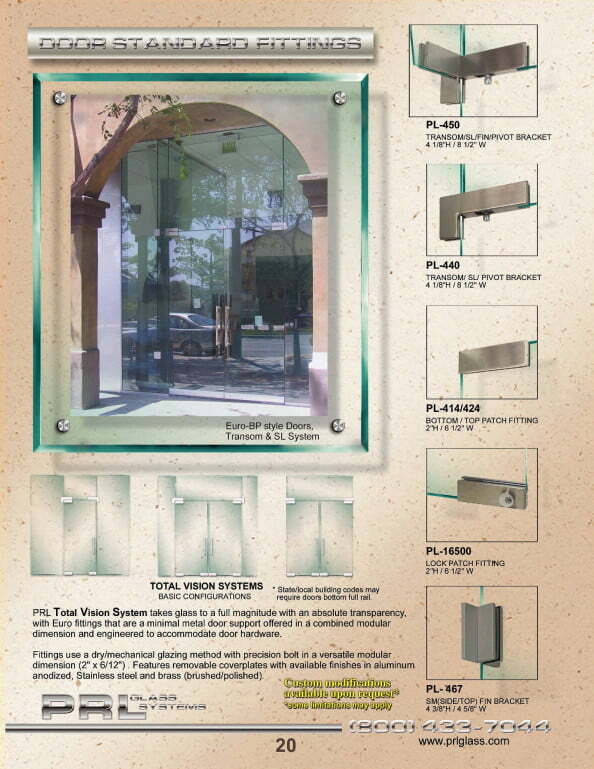 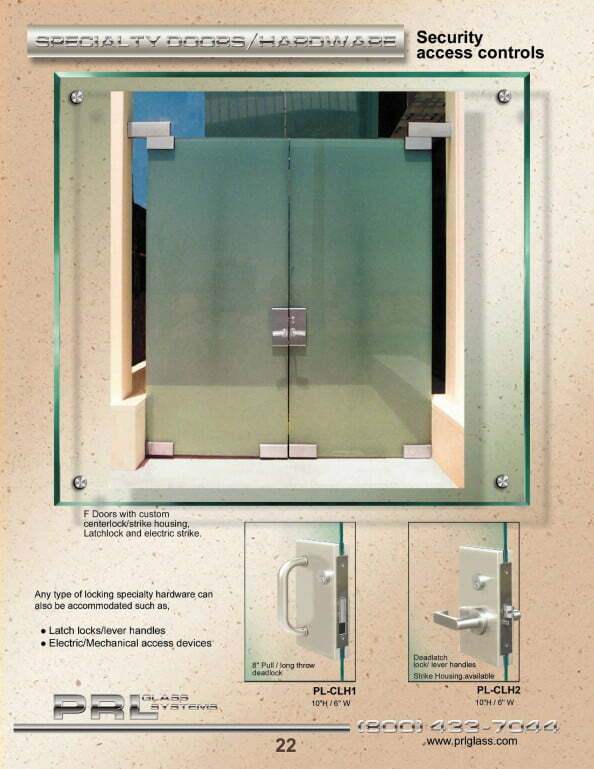 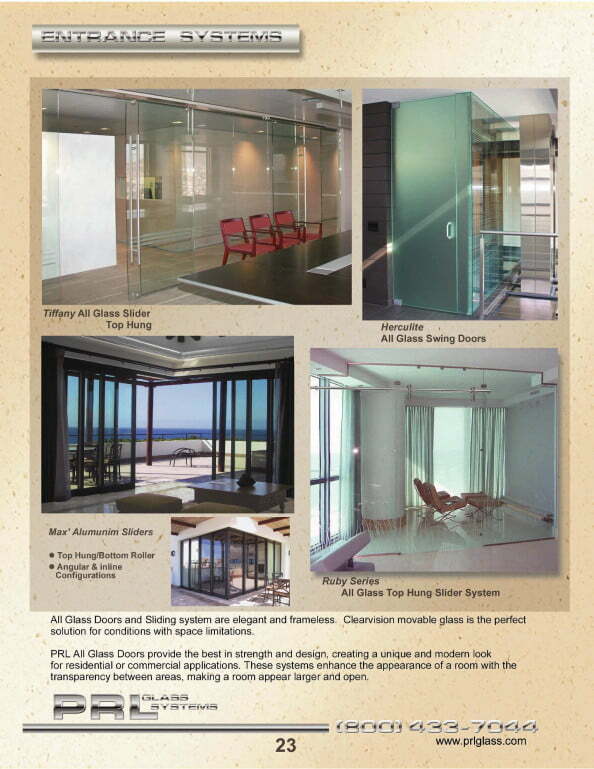 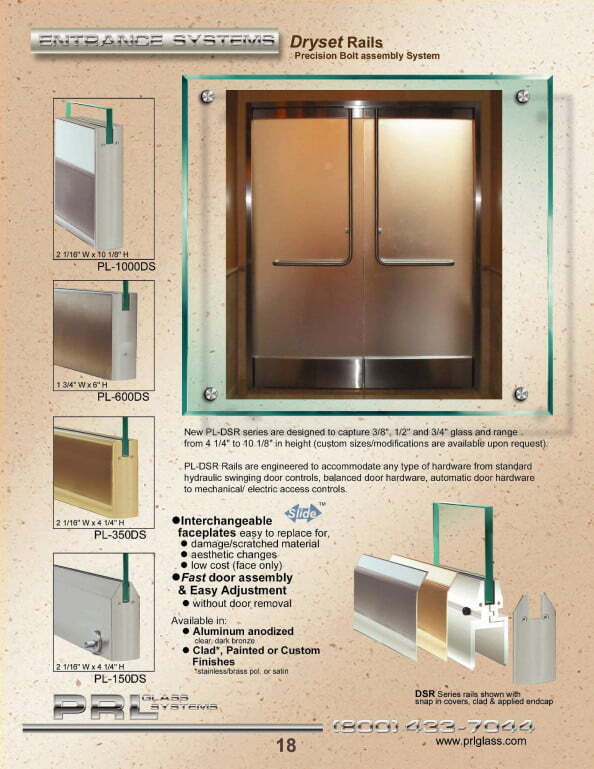 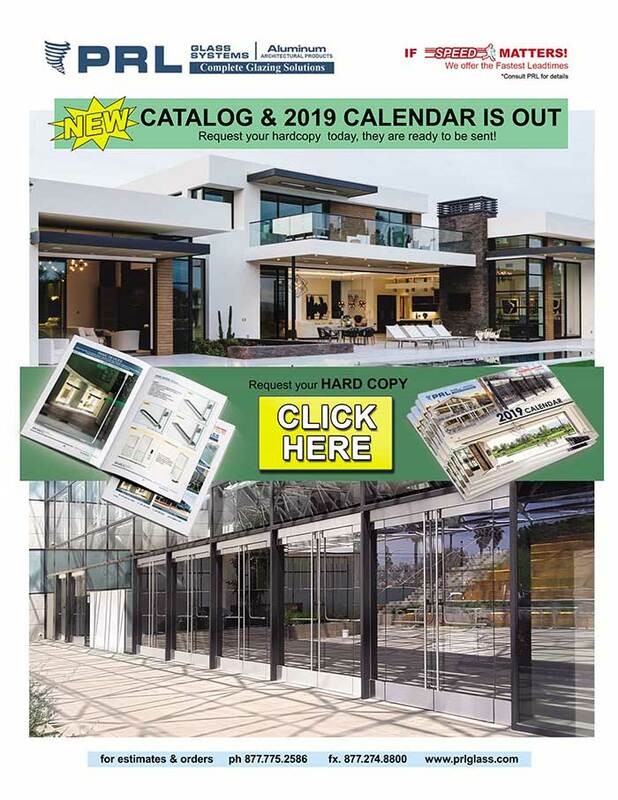 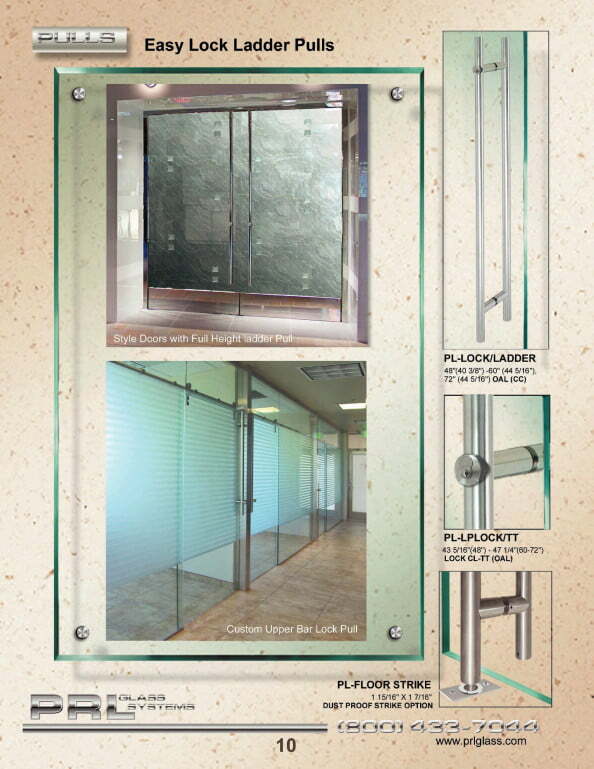 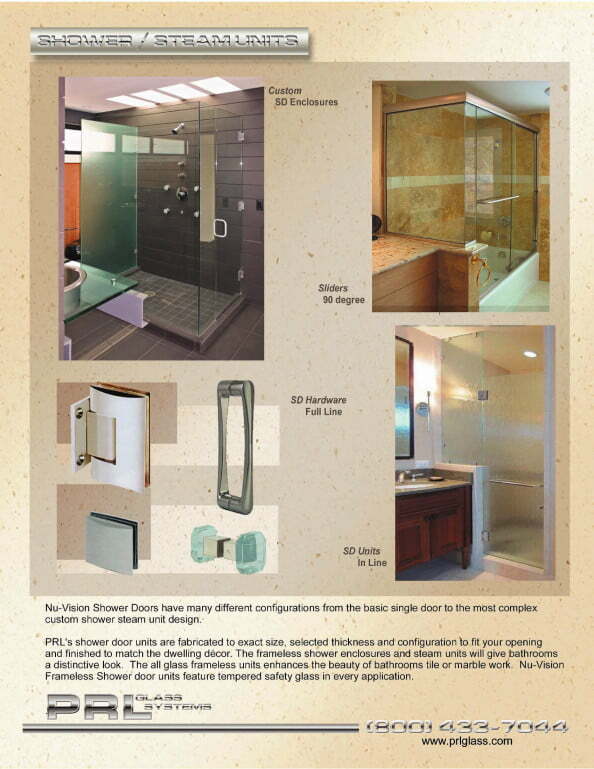 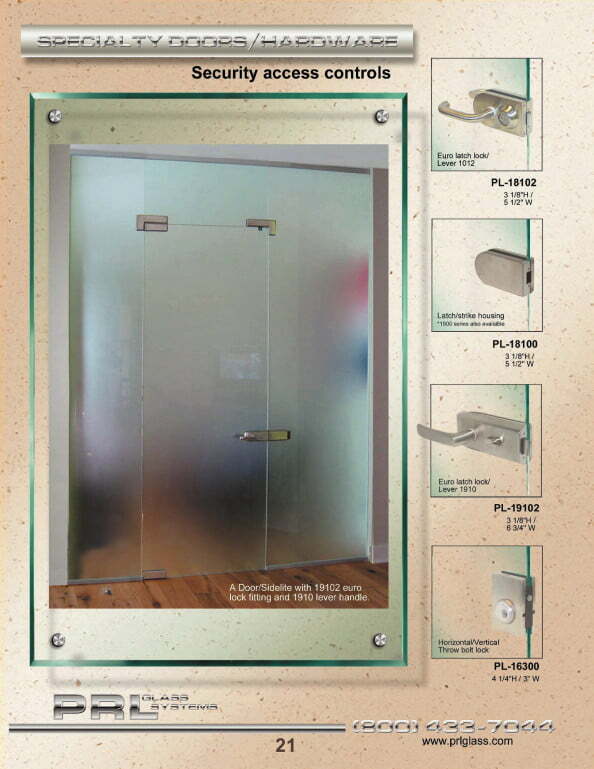 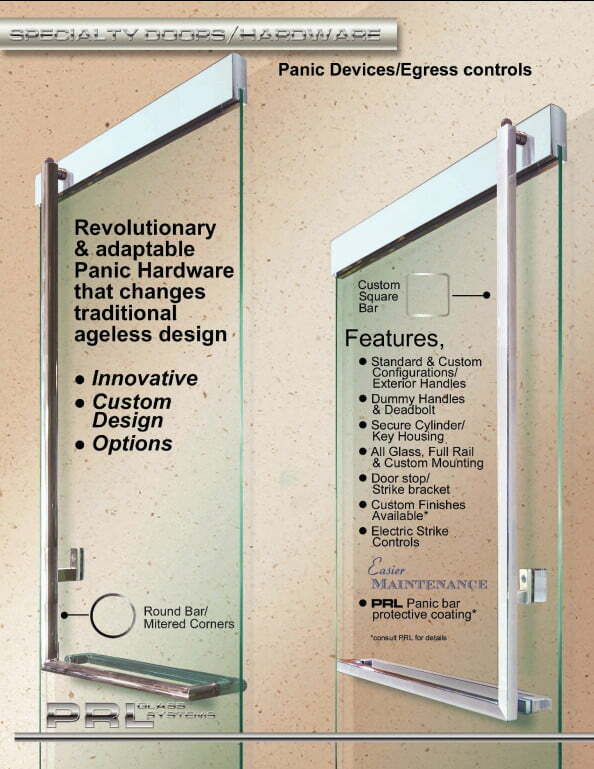 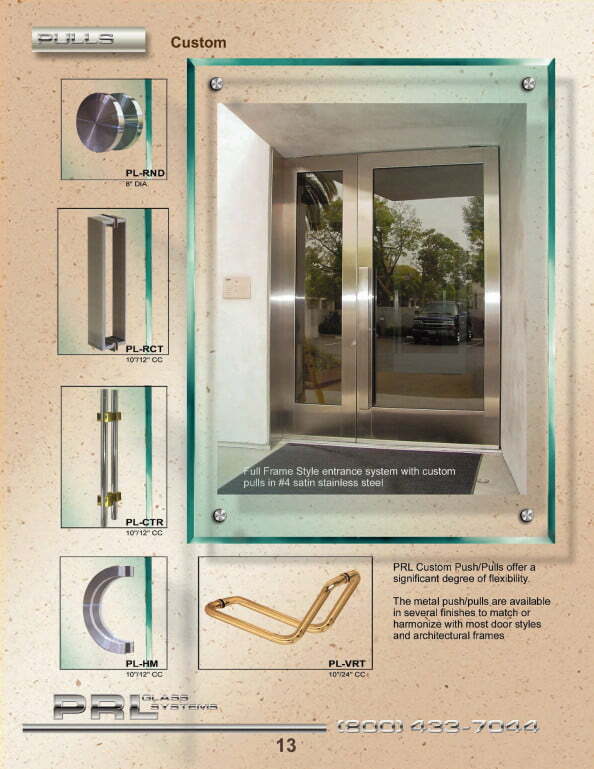 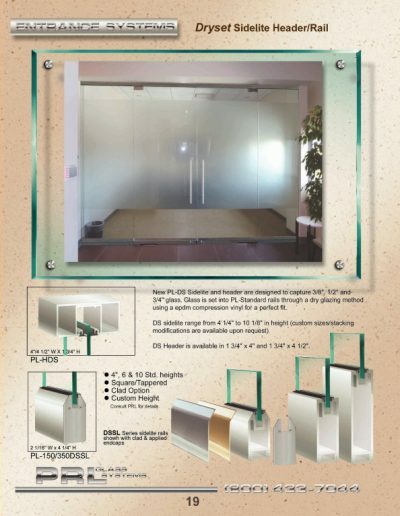 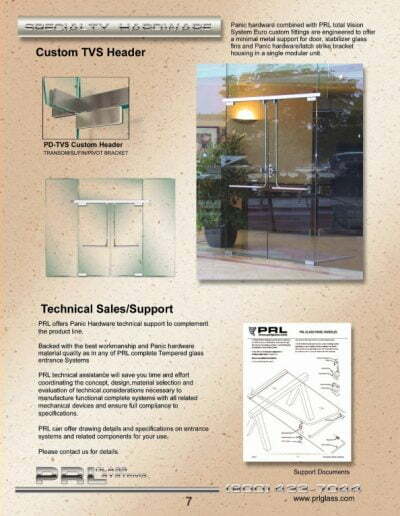 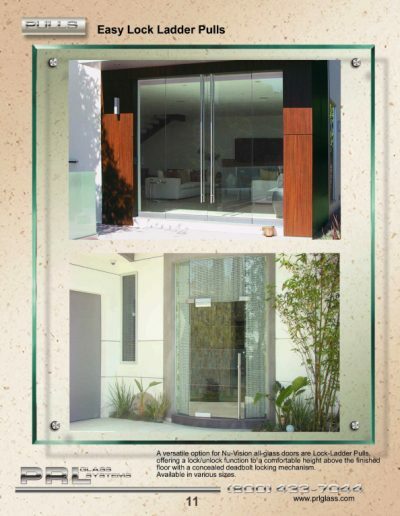 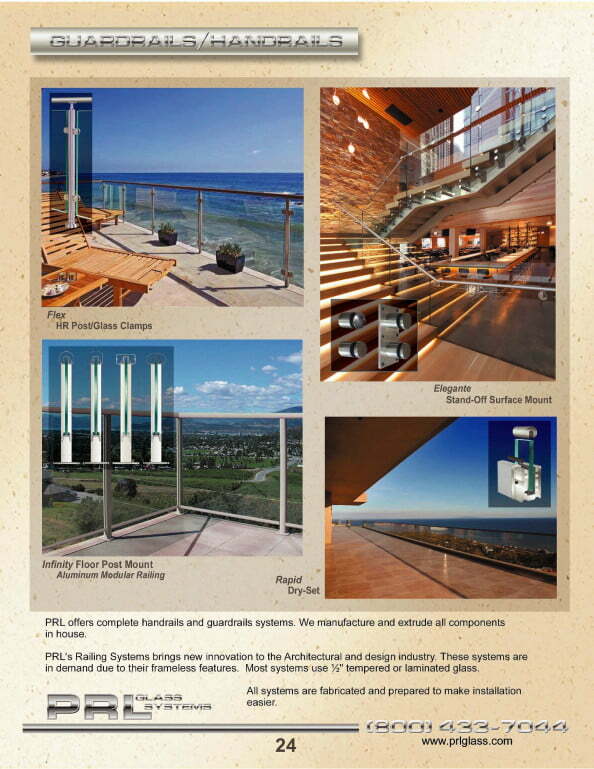 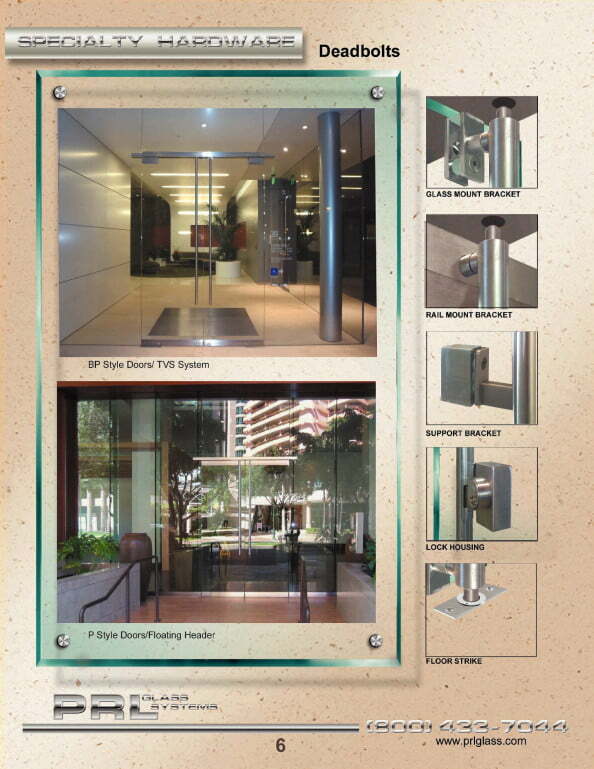 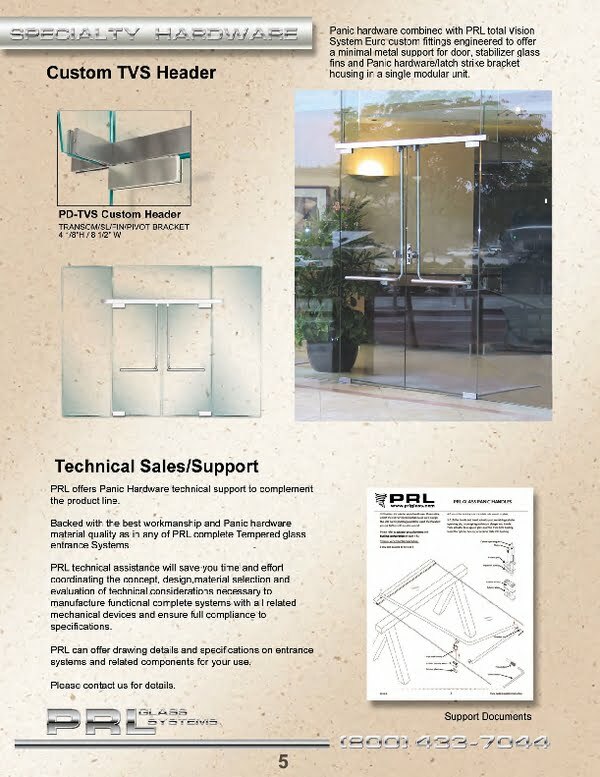 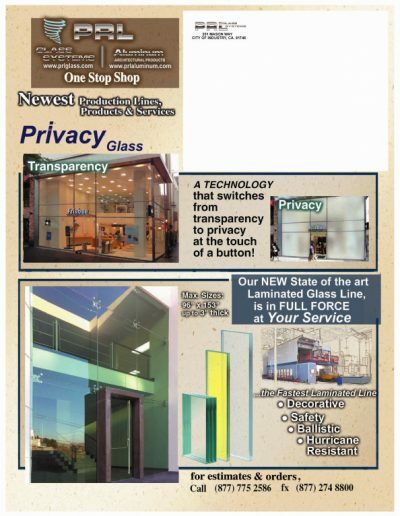 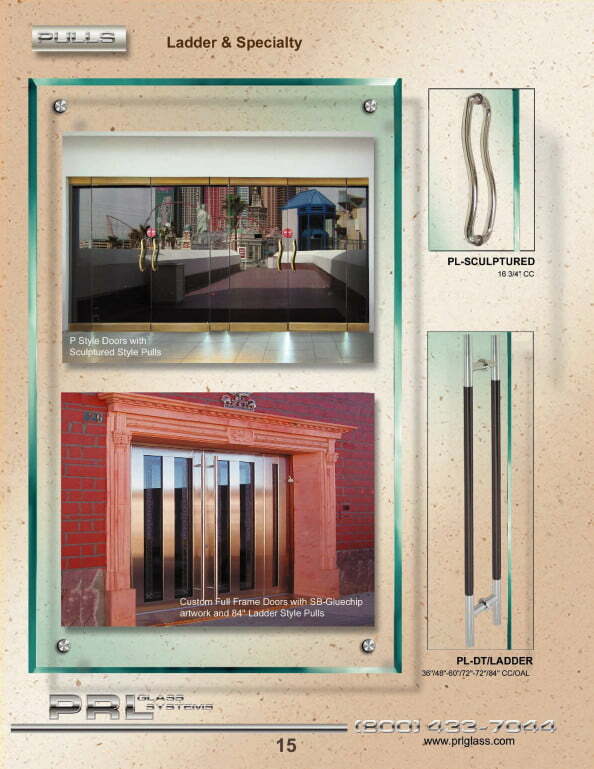 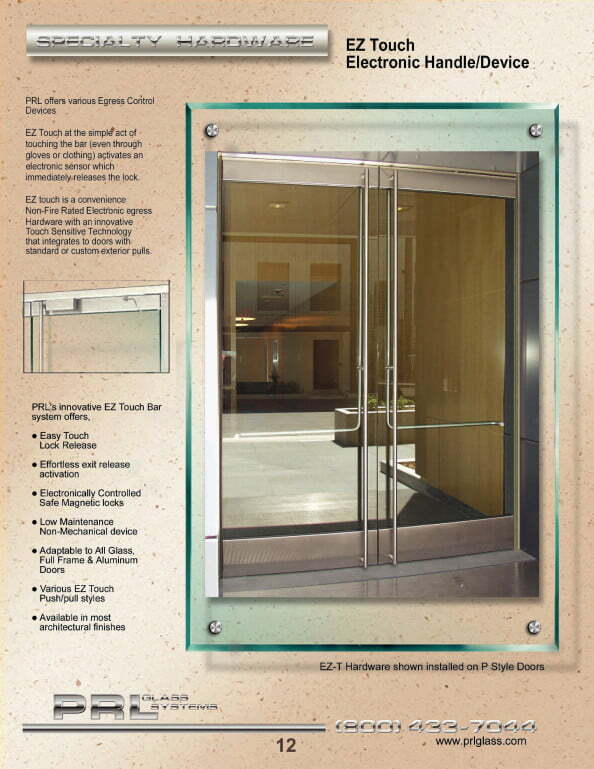 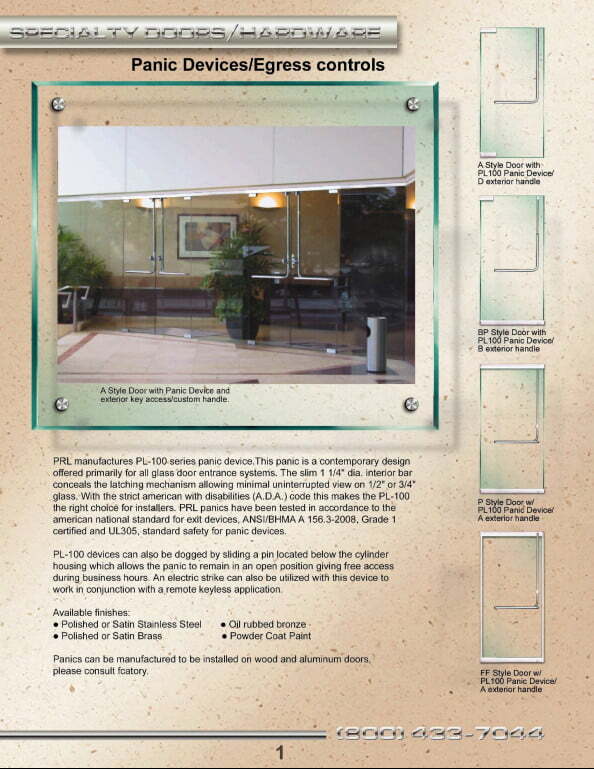 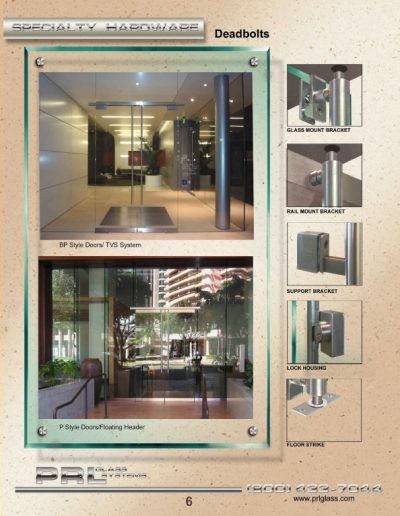 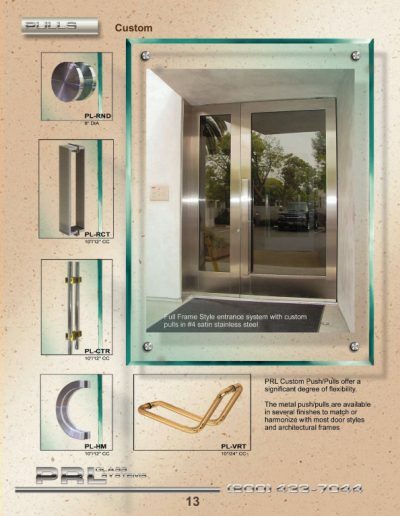 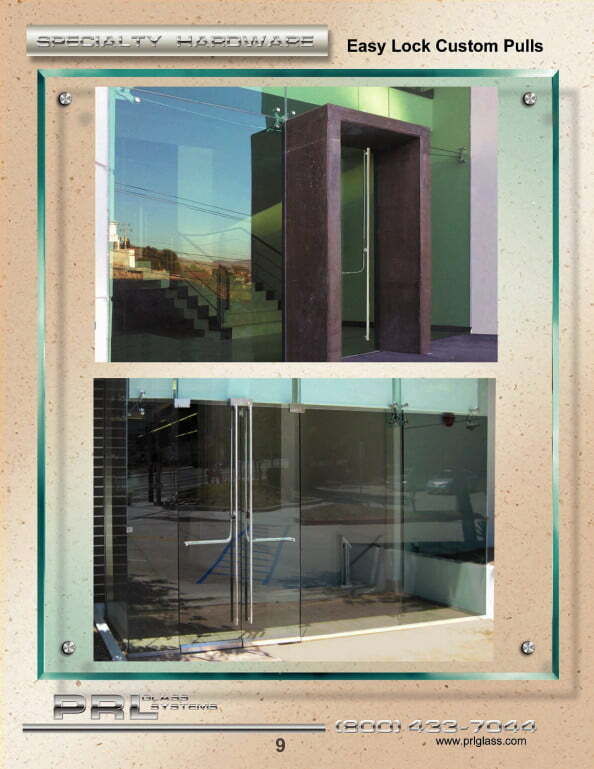 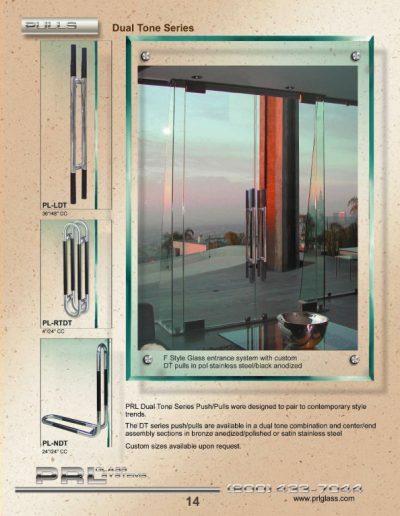 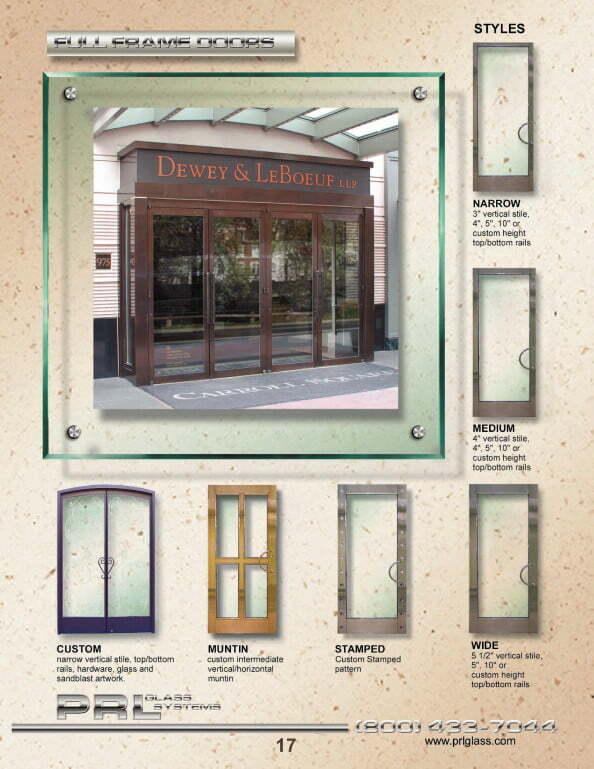 When the PL-100 is combined with 3/4″ tempered glass and the “F” style exterior pull hardware, it can be used on a maximum door height of 120″, making PRL the only panic hardware manufacturer in the industry to have a tubular panic for doors up 120″ tall. 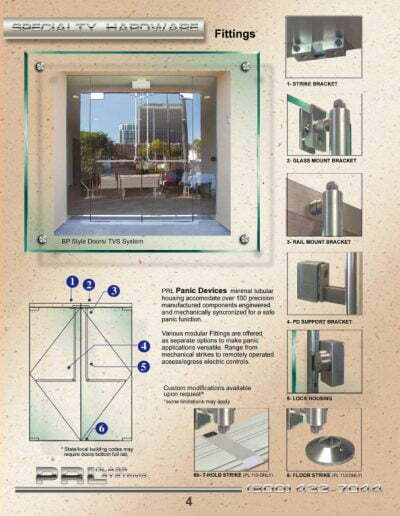 Our standard 1-1/4″ diameter tubular panic hardware design offers security as well beauty. 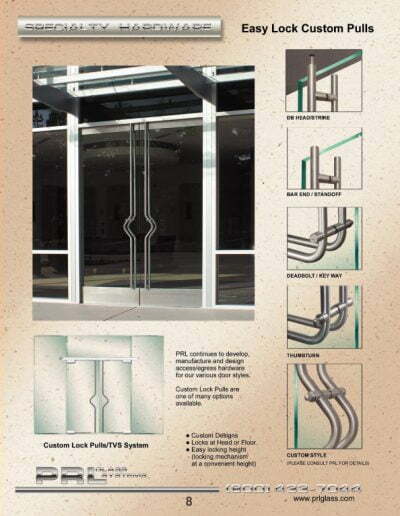 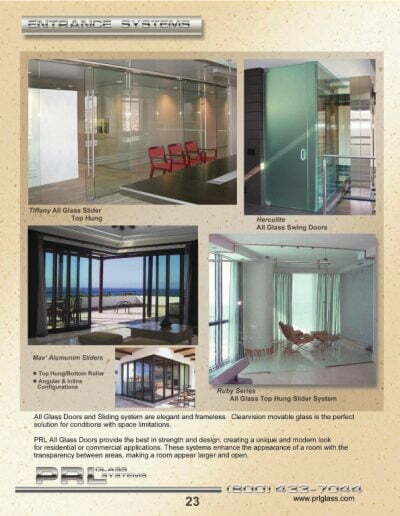 But with PRL’s innovative spirit we have not limited ourselves to a round tube housing design. 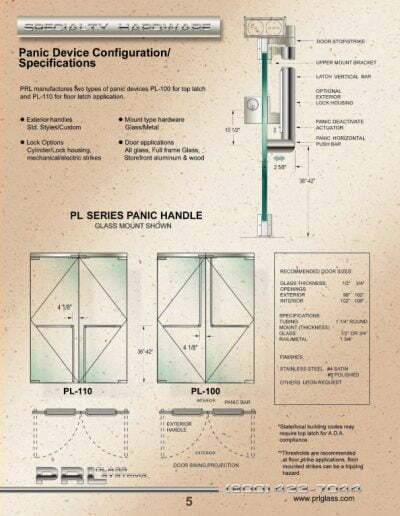 We also fabricate our panic devices and hardware with a 1-1/4″ square tube design for a completely new look. 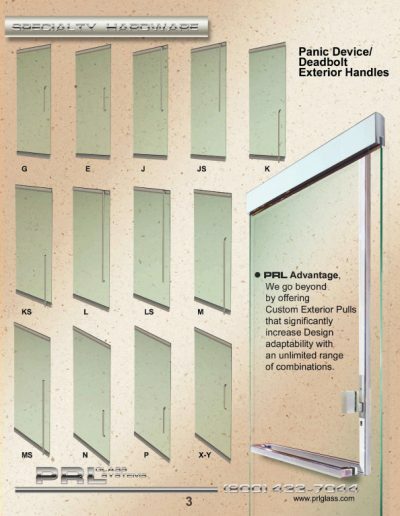 Exterior handles can be selected from available standard configurations or custom hardware designed to your specifications. An interior dogging pin provides an option for keeping the latch retracted during the day. 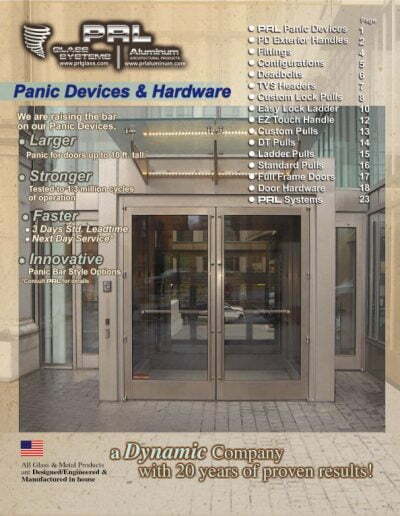 Using electric strike hardware allows for secure with easy access to the building when combined with a card reader or similar access system. Once again our creativity has put us ahead of the competition, working always to accommodate our customer’s need for innovation.